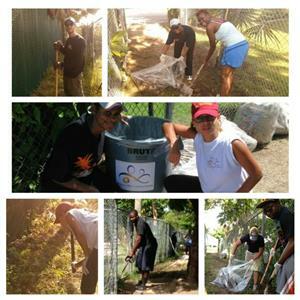 measures like cleanups, the club also placed a garbage bin (branded with our club logo) at the end of the pathway to encourage students to throw away their trash. Although we collected bags and bags of trash, there's still much work to be done. The club intends to schedule another cleanup in the near future.